Hive of activity in Meadvale Road this morning as filming equipment is in use outside The Brentham Club and catering vans fill the car park. Anyone know what’s going on? While the cherry picker is on site perhaps they can replace a few bricks in the Tower! 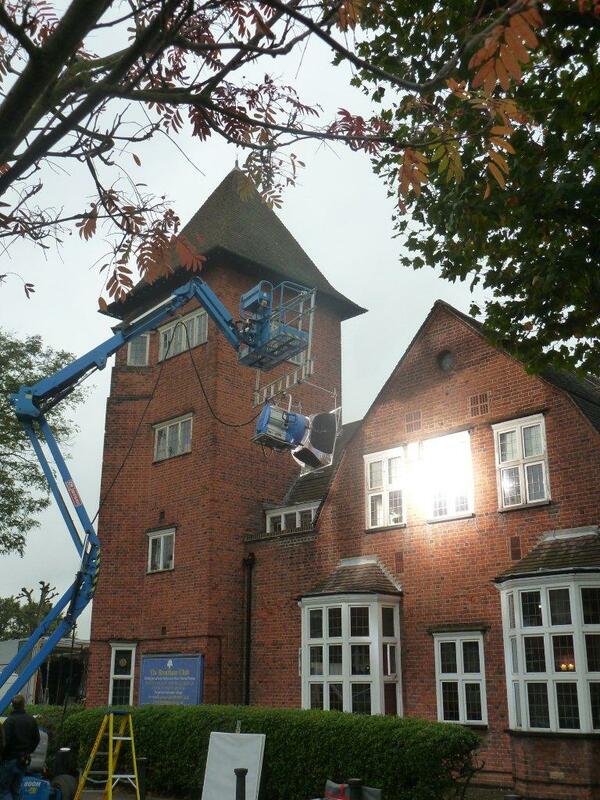 Sorry to disappoint you all, the film crew were using the Top Bar and Hall to film a dog advertisement. How exciting – I can see a soap opera coming along – The Brenthamites!